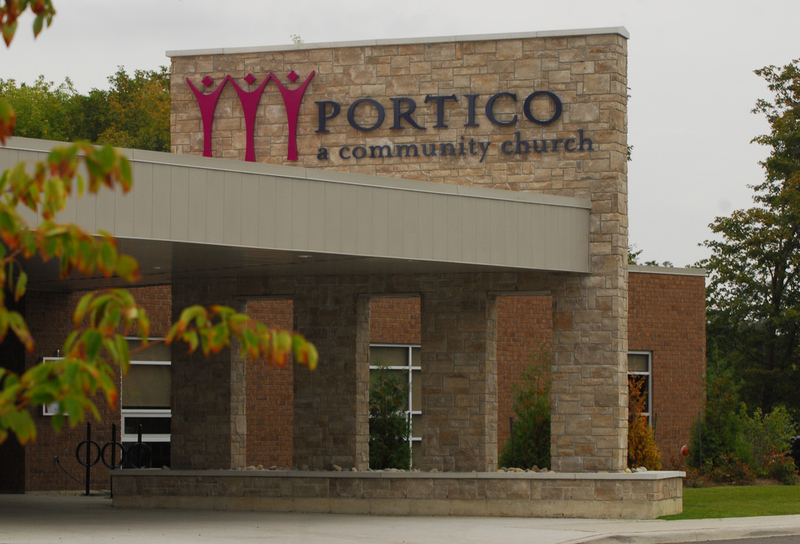 Portico Community Church — Hawkey Church Management Inc. Description: Portico is a vibrant church with a goal of assisting satellite churches to further their outreach in the community. The church is well equipped for conferences and large events, large foyers tie together 3 main venues which seat 900, 450 and 250 each. In addition to the full addition/renovation we were required to address storm water issues this required a full redesign of the existing site.